Historical issues involving Japan and South Korea have entered a new phase with the inauguration in Seoul last week of a conservative president and the return to South Korea last January of the remains of 101 Koreans who died while forcibly serving in the Japanese military during World War II. President Lee Myung Bak has said he “does not want to tell Japan to apologize or engage in self-reflection,” calling instead for future-oriented ties and a “mature relationship” with Tokyo. Lee began his five-year term on Feb. 25, replacing a liberal leader who spoke of a “diplomatic war” over history. Yet the tough stance of previous President Roh Moo Hyun, coupled with vigorous cross-border activism involving South Korean and Japanese citizens, has begun yielding real results. Japan is cooperating “on humanitarian grounds” in resolving some historical legacies, while digging in its heels on many others. Japan’s mixed track record during the Roh era is most evident in the case of wartime labor conscription. Roughly 700,000 Koreans were forced to work for private companies within Japan. More than 300,000 Koreans were forced to serve in the Japanese military in fighting and support roles; 22,182 are known to have died. On Jan. 22, the remains of 101 military conscripts killed in nearly a dozen countries were returned to South Korea from Yutenji Temple in Tokyo, following a state memorial ceremony attended by high-ranking diplomats from both countries. The Japanese government for the first time invited 50 South Korean family members to attend the ceremony, paying their travel and lodging expenses and providing about $300 in condolence money for each fatality. 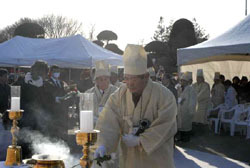 South Korea’s ambassador to Japan called the repatriation of the remains a “valuable start to heal historical wounds.” Mostly belonging to military conscripts, the 1,034 sets of Korean bones still stored at Yutenji Temple are slated to be returned later this year to South Korea and possibly North Korea, the ancestral home of 431 of the war dead. 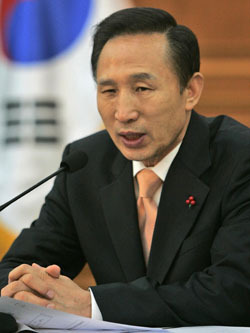 Former Prime Minister Junichiro Koizumi promised Roh in 2004 that Japan would assist Seoul’s efforts to settle forced labor issues. But reparations work bogged down due to emotional history-linked disputes that erupted in 2005, scuttling what was supposed to be a “Year of Friendship” marking 40 years of restored diplomatic ties. South Korea’s 85-member Truth Commission on Forced Mobilization under Japanese Imperialism has received over 220,000 applications from elderly former conscripts or family members so far, and certified over 60,000 cases of forcible conscription. Public hearings have been held across South Korea, producing a first-person record of the forced labor experience and a list of more than 2,000 Japanese firms that benefited. Guided by local Japanese activists, Korean truth commission members have also conducted fact-finding investigations at former mines and construction sites across Japan where civilian conscripts toiled and frequently died. The ambitious goal is to find, identify and repatriate the remains of forced laborers still in Japan. The Japanese government claims, despite much historical evidence to the contrary, that the state was never directly involved in labor conscription by Japanese companies. Tokyo insists it does not know how many Korean civilians were conscripted or how many died in the custody of private firms. And it has shown little interest in finding out. Some 2,000 sets of Korean remains have been located in Japan since 2005. Hundreds of these remains may belong to forced laborers who died during the war, but most probably belong to Koreans who died at other times or were not labor conscripts. South Korean and Japanese officials have jointly inspected charnel houses containing a small number of these remains, while most Japanese companies are declining to assist researchers. Disclosure of the records cemented the public perception that the treaty’s “economic cooperation” formula had betrayed individual Koreans harmed by Japanese colonial rule. In response, the Roh administration spearheaded the passage last November of a law granting compensation from South Korean coffers to victims of wartime forced labor. The measure will provide just over $20,000 to families of military and civilian conscripts who died or went missing outside of Korea; conscripts who returned to Korea with disabling injuries; and families of conscripts who returned to Korea with injuries and died later. Payouts are expected to begin in May. 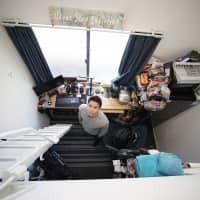 In addition to fixed-amount compensation, the new law also calls for the South Korean government to make individualized payments to former conscripts and families based on financial deposits now held by the Bank of Japan — money that forced laborers earned but never received. The 60-year-old deposits include unpaid wages, pension contributions, and death and disability benefits for both civilian and military conscripts. Partly to discourage Koreans from fleeing work sites in wartime Japan, companies funneled their salaries into “patriotic savings accounts” and made mandatory deductions for the national welfare pension fund. Japan’s Welfare Ministry ordered companies to deposit all unpaid sums for civilian conscripts into the national treasury in 1946. Wages for Korean soldiers and support personnel conscripted into the military were similarly deposited into postal savings accounts during the war. Japanese authorities deposited salary arrears and related benefits for Korean military conscripts into the Bank of Japan in 1950. The Koizumi administration conceded in response to Diet questioning in 2004 that the BOJ continues to possess more than ¥2 million in financial deposits related to labor conscription. The deposits could be worth $2 billion today, if adjusted for six decades of interest and inflation. 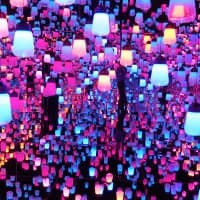 Japanese courts have confirmed the existence of wage and pension deposits in individual cases, while ruling that the 1965 treaty nullified the rights of Korean plaintiffs to claim the money. 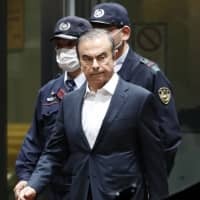 The future status of these financial deposits, which remain shrouded in secrecy and are virtually unknown among the Japanese public, represents a major piece of unfinished reparations business. Japan’s commitment to historical reconciliation is now being tested by South Korean requests for details about the deposits and other aspects of conscription. Seoul will not be able to fully implement its domestic compensation scheme without fuller Japanese cooperation. The South Korean truth commission has requested Japanese welfare pension records in order to verify that applicants for compensation were conscripted during the war. To provide personally tailored payments, the commission will also need a Japanese document known as the Unpaid Financial Deposits Report. At a state-level conference in December, Japanese officials supplied their Korean counterparts with name rosters and other information on thousands of military conscripts. But the Japanese side stated that similar data for the far larger class of civilian conscripts is dispersed across Japan and would be difficult for the central government to compile. Japan is inching toward open discussion of the BOJ financial deposits, based on the understanding that Tokyo is not legally responsible for wartime conscription and the money will not be released. However, Japanese officials have indicated they will eventually provide details about deposits related only to military conscription. This double standard is consistent with Japan’s past practice, for foreigners as well as Japanese nationals, of privileging the status of military victims of World War II over civilian ones. Since 2006 the Japanese government has footed half the bill for memorial visits by Korean family members to former battle sites in Okinawa and six South Pacific nations where their conscripted relatives died. There is no similar program for memorial visits to places in Japan where civilian laborers perished. Neither is the Japanese government helping to send the bones of civilian conscripts home to Korea. In late February, a citizens group in Hokkaido returned the remains of three Korean teenagers killed at a Nippon Steel foundry in July 1945 during an American naval bombardment, along with the remains of a fourth conscript who died in a coal mine. The government rejected the group’s request for an official representative to attend the Hokkaido memorial rites and for travel expenses, funeral costs and condolence money to be paid to visiting relatives, as in the case of the Yutenji Temple remains earlier this year. Repatriation of all civilian conscript remains in Japan could take years. Community activists say the project should include compensation, apologies by the state and corporations involved, and explanations about causes of death. Systematic government cooperation concerning cremation records and domicile registries would greatly speed up the work of identifying remains. 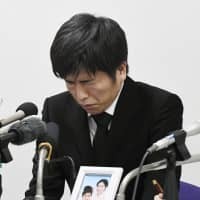 But local authorities in some cases are withholding such dusty data on privacy grounds, a practice that activists say shields Japanese companies by masking deaths on the job. 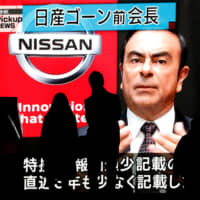 Beginning in 1991, dozens of compensation suits have been filed in Japanese courts against private firms and the Japanese state for civilian and military conscription. 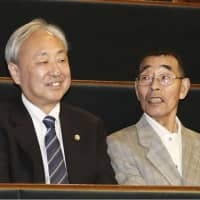 Related litigation has involved Koreans who were forced into military sexual slavery, exposed to the atomic bombings, killed in the sinking of the Ukishima Maru, convicted of war crimes, abandoned on Sakhalin Island, interned in Siberia and enshrined in Yasukuni against their families’ wishes. Virtually all these legal efforts have failed due to the claims-waiver language in the Japan-South Korea normalization treaty and time limits for filing claims. A decision by the Toyama District Court in September 2007 was typical. Judges dismissed the suit by elderly female plaintiffs, but agreed that as teenagers they had been threatened or deceived into going to Japan and then forced to work at a factory where they were confined without pay. Lee has said he will allow the Truth Commission on Forced Mobilization to expire when its funding mandate ends in late 2008. One reason for the rise of South Korea’s “New Right” is waning enthusiasm for the government’s 14 historical commissions, several of which target colonial-era collaboration with Japan. 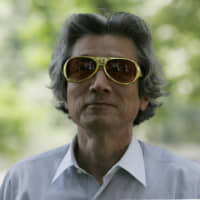 Lee himself was born in Japan in 1941 to voluntary Korean immigrants who returned to their homeland in 1946. He was jailed in 1964 for taking part in student demonstrations against the Japan-South Korea peace treaty. 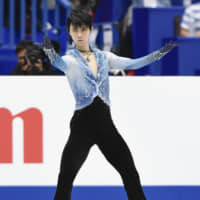 Two years from now, he will oversee commemorations of Japan’s annexation of Korea in 1910, an event that promises to be both painful and cathartic. The global trend toward repairing historical injustices offers few parallels for the recent direct involvement of the South Korean government in redress efforts targeting a neighboring democratic state. Japanese and Korean civil society actors will try to maintain the momentum of the Roh years and continue healing the scars of forced labor. The effect upon Japanese-Korean reconciliation of Lee’s weaker commitment to reparations remains to be seen.